Goss UK: Madonna To Adopt Or Not? Madonna To Adopt Or Not? The Sun reports that Madonna is to adopt a three year-old girl from Malawi, called Grace. A source close to the singer said, “It was always Madonna’s intention to adopt two orphans from Malawi — a boy and a girl. If Madonna does go through with the adoption, then Malawi adoption officials could be very strict after the uproar surrounding Madonna's adoption of David Banda from the same country. However according to the BBC her spokeswoman said, "She is overseeing the building of a children's healthcare centre. She is absolutely not adopting another baby." 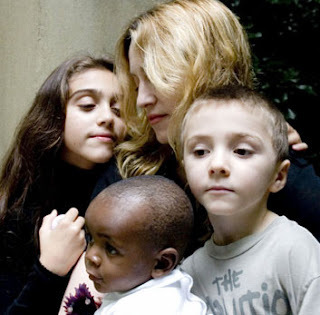 In November Madonna told Newsnight that she would consider adopting another child from abroad.